A legal defeat for paid sick leave in Milwaukee. Milwaukee County Circuit Court Judge Thomas R. Cooper has ruled Milwaukee’s mandatory paid sick leave ordinance “invalidly enacted and unconstitutional,” and granted the Metropolitan Milwaukee Association of Commerce’s motion for Summary Judgment. MMAC President Tim Sheehy called the ruling, “A victory for the City of Milwaukee’s economic competitiveness and the workers who depend on a growing economy for their jobs.” Milwaukee voters in November approved a binding referendum that would require employers to give paid sick leave. Before the mandate could take effect in February, MMAC sued to block the ordinance. 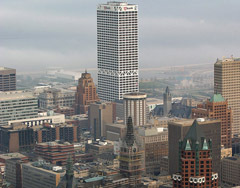 Critics said the mandate would burden employers, especially Milwaukee’s small businesses. Proponants claimed cities with similar plans have not suffered financially in fact benefitted in some cases, with companies facing better employee retention which reduces the high cost of employee hiring and rehiring.